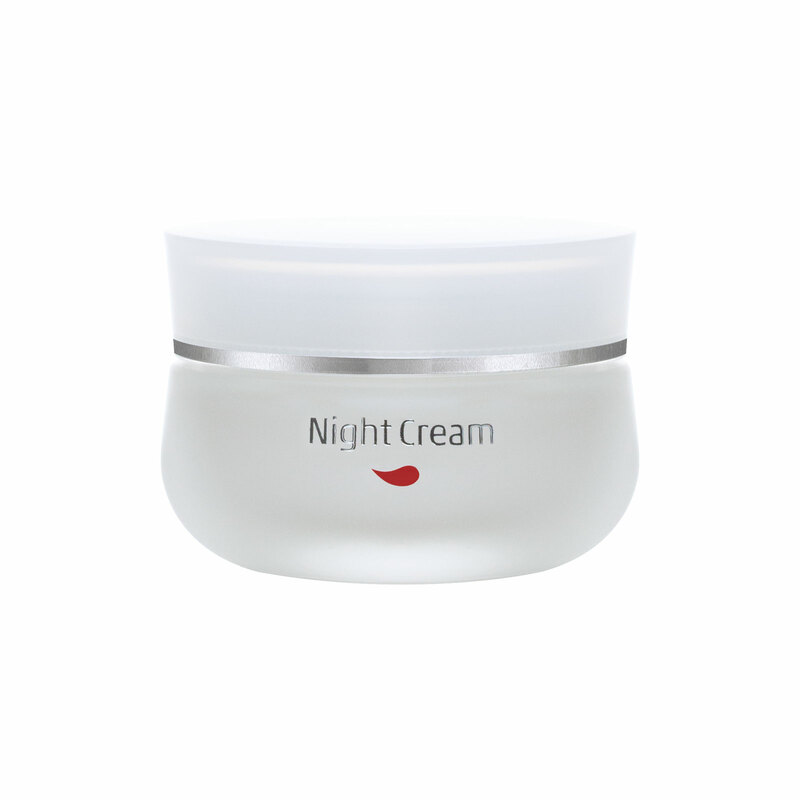 Promotes overnight skin regeneration and supports the cell renewal process. Herbacin Face Care Night Cream with highly nourishing almond oil, avocado oil and shea butter promotes skin regeneration overnight, supports the cell renewal process and diminishes first wrinkles. Face Care Night Cream’s particularly gentle care formula with natural camomile and lotus flower extracts and precious Aloe Vera has a lasting soothing effect and is suitable for all skin types. While vitamin E and pro-vitamin B5 protect your skin’s natural structure, the active ingredients from the seed of the moth bean (Vigna aconitifolia) stimulate both the cell renewal as well as the wrinkle smoothing of your skin. Regular use of Herbacin Face Care Night Cream every night – ideally after our Anti-Age Serum – will give your skin next morning a noticably younger, smoother, fresher and well-rested appearance.